Newspaper reports from the “other side” always provide some fascinating reading, such as Confederate vs. Yankee accounts of Civil War battles, or Allied vs. Nazi reports of World War II battles. The same is true of the Revolutionary War. 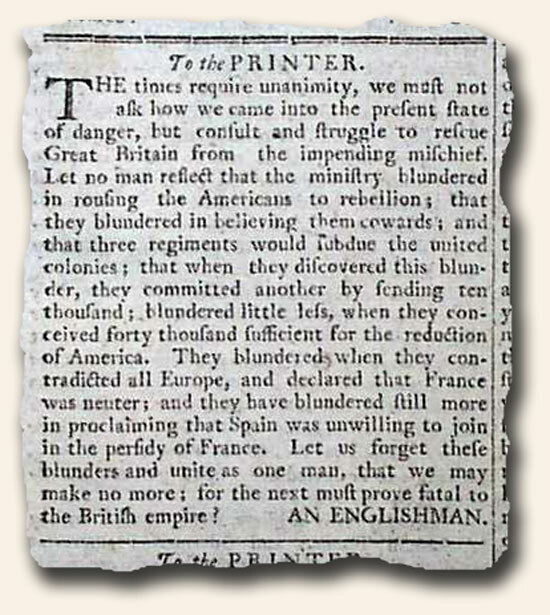 The “Pennsylvania Ledger” was a Loyalist newspaper and they spared little in criticizing the American, or “rebel”cause as they called it, for freedom. The January 21, 1778 issue has a fascinating letter which heavily criticizes Washington’s letter to Congress of October 5, 1777 (see below or go to this issue for full details). 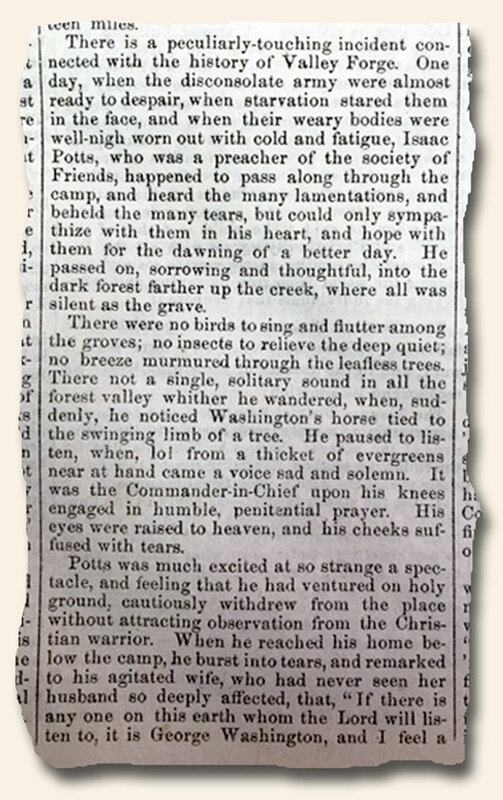 In the letter Washington puts an admittedly positive spin on his tragic loss at the battle of Germantown, which gives this writer a cause to respond. He begins: “Mr. Washington’s letter to Congress…is perhaps the most extravagant piece of Jesuitical quackery that has been exhibited during the present rebellion. This heroic epistle abounds in deception, and incongruous contradiction in the extremely; it is calculated to mislead…”. His treatment of Washington doesn’t get any nicer. “This military quack…” is his next reference to the American leader, and he takes on one of the more famous quotes from Washington’s letter: ” ‘Upon the whole, it may be said the day was rather unfortunate than injurious.’ what a delicate and nice distinction here is held forth!…Who can help laughing at such an heterogeneous jumble of inconsistencies. Mr. Washington & his confederates have gained immortal honour by being suddenly put to flight by his Majesty’s troops…”. Reading from the Loyalist side offers a perspective not to be found in newspapers supporting of the cause of Independence. What a fascinating hobby! Tabloid journalism was alive and well in 18th century America. If you thought “sleazy” reports were a concoction of the 20th century, you would be wrong, as newspaper editors had, for hundreds of years, few concerns about slandering those they found offensive or who were on the other side of the political fence. As we approach President’s Day, there is a part of me which is somewhat sentimental about my childhood memories surrounding Washington’s Birthday. I sure do miss it as a stand alone national celebration. I fondly remember my father bringing home a cardboard version of an ax (with a chocolate-covered cherry hidden within) to present to each of us to commemorate the holiday, and without fail, reminding us to be just like George Washington – that is, to never tell a lie. Was there a bit of lore surrounding this sacred event? Sure. Did it teach us a valuable lesson? Absolutely. Somehow we’ve lost the innocence and value of oral tradition, and I wonder if we are the better for it. Perhaps Washington never chopped down a cherry tree… and my guess is he probably told a lie at some point, but I challenge anyone to name another political leader who, in the face of such power, tradition, and popularity, was willing to hand over the reigns of power with such humility and grace. 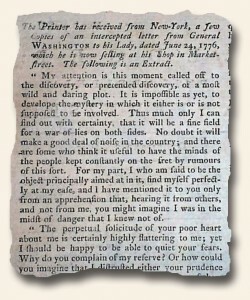 The Massachusetts Spy, Or Worcester Gazette for March 15, 1797 records much of the proceedings of this momentous event. The link provides access to considerable details. Of particular note is his response to the Massachusetts’ Representatives of Congress who basically asked him, “What now?” His response is precious (see below). Please enjoy! One of the benefits of collecting notable newspapers is not only the joy of finding an historically significant report–like Washington’s proclamation announcing the formal end of hostilities with England–but appreciating the eloquence of our leaders of years past. With all our modern intelligence & computer-enabled resources at our fingertips, it seems like the simple skill of writing has been lost with our generation. 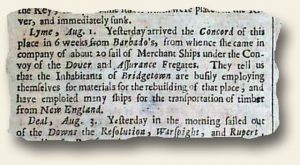 The referenced event was recently discovered in the “Pennsylvania Journal & Weekly Advertiser” newspaper of April 30, 1783. Page two contains this very historic report, but of equal fascination is the wording of the document. 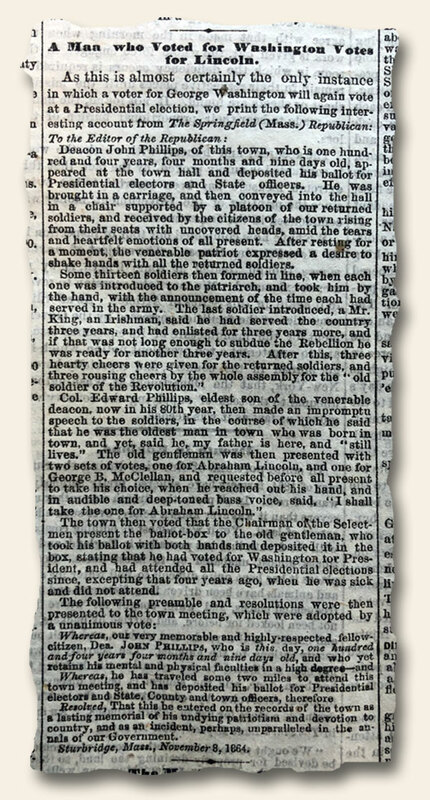 He congratulates the Army, noting that those who have performed the “…meanest office…” have participated in a great drama “…on the stage of human affairs…For these are the men who ought to be considered as the pride and boast of the American Army; And, who crowned with well earned laurels, may soon withdraw from the field of Glory, to the more tranquil walks of civil life…Nothing now remains but for the actors of this mighty Scene to preserve a perfect, unvarying, consistency of character through the very last act; to close the Drama with applause; and to retire from the Military Theatre with the same approbation of Angels and men which have crowned all their former virtuous actions.” There is evidence of Washington’s less formal and more pedestrian side as well as he ends the document with: “An extra ration of liquor to be issued to every man tomorrow, to drink Perpetual Peace, Independence and Happiness to the United States of America.” See this hyperlink for the full text (or the text of the actual newspaper below). What a thrill to find such a document which has rested on our shelves for many years just waiting to be discovered. What a thrill to be involved in such a fascinating hobby. I would argue that beyond the Civil War, the era of American history which evokes the most interest among our collectors is unquestionably the Revolutionary War. With a cast of characters who still rank among the most memorable in history—Washington, Adams, Hancock, Jefferson, Henry, Franklin, Paine, and more—and a plot, which if it were not true history would serve as an excellent screenplay for an exciting movie—an oppressed, energized people seek to break free from the reigns of oppression and dominance from abroad—it is easy to see how the events of the Revolutionary War continue to intrigue and offer a foundation upon which to reflect as today’s world grapples with many of the same issues despite the 230+ years which distance us from those notable events. And what could be better than experiencing those events just as those who lived through them? Newspapers offer that opportunity. Genuine issues, once held and read by those who lived through those turbulent days before being relegated to the back shelves of libraries, are now part of the inventory of Hughes Rare & Early Newspapers. And at prices which might surprise many (see Revolutionary War issues for $60 and under), as a hobby which is relatively unknown to the collecting world has yet to cause demand and scarcity to drive prices beyond the means of the average collector. Of course, there are still many that fall into the category of what we refer to as, “The Best of the Best – Revolutionary War Edition“. Of significance is that British titles, which offer excellent coverage of all American events given their role in attempting to placate the demands of the Americans while maintaining control of their colonies, allow ownership of battle reports of the war for under $100, with some very notable events in the $200-$300 range. American newspapers remain among the most desired but their scarcity is reflected in their prices. 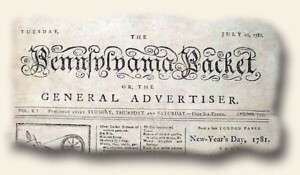 With a collection of the “Pennsylvania Evening Post” which included the Declaration of Independence bringing $600,000 in auction recently, it would amaze many that the same document is available in London’s “Gentleman’s Magazine” issue of August, 1776 (took news 3-4 weeks to traverse the Atlantic) for under $4,000. Other disproportionate prices between British and American newspapers entice many to gravitate to the British titles while prices and availability remain attractive. 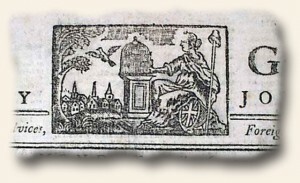 The “London Chronicle” is one of the better British titles in reporting the Revolutionary War. 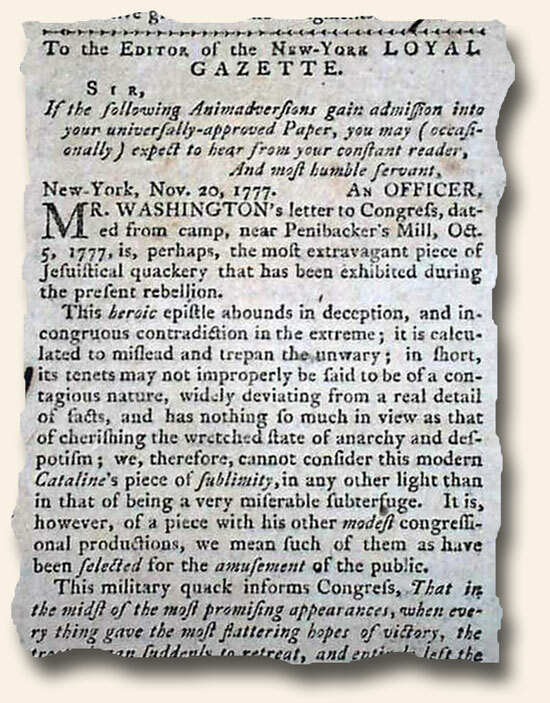 From the Battle of Lexington and Concord, to Bunker Hill, Battle of New York, Saratoga, Washington crossing the Delaware, treason of Benedict Arnold, Guilford Court House, to Cornwallis’ surrender at Yorktown, this newspaper offers coverage which equals the American newspaper accounts. In fact many British reports were taken verbatim from American newspapers. 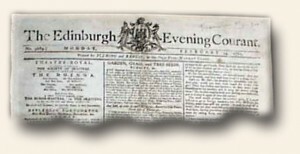 Of equal quality in report news of the day was the “Edinburgh Evening Courant” from Scotland as I have found all events of the Revolutionary War to be reported in this title as well. Other UK titles which covered the war include “The Glocester Journal”, “Aris’s Birmingham Gazette”, the “Edinburgh Advertiser” and the “Glasgow Mercury” to name a few. 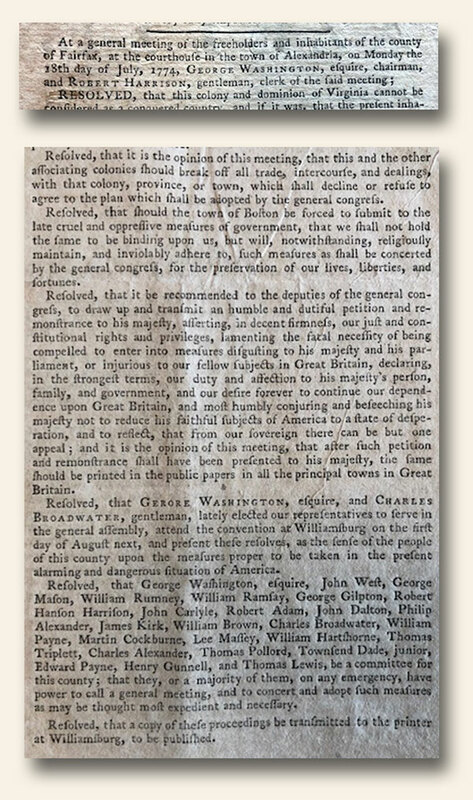 But perhaps the best and most available title of the Revolutionary War period would be the “Gentleman’s Magazine” from London, it having a long printing history from 1731 to the 20th century so it encompasses not just the Revolutionary War in great detail by the entire scope of American history. As an added treat this title typically included one of more plates within each issue, which included maps as well. And during the years of the Revolutionary War were found many maps of American colonies, battle sites as well as large foldout maps showing the entire scope of the united colonies at that time. The maps alone have found a keen interest among collectors, separate from the issues in which they were stored for over 200 years. As is true with the British titles mentioned, “Gentleman’s” included all notable events and documents, including the Articles of Confederation, the Causes and Necessity For Taking Up Arms, all major battles of the war thru the treaty between Washington and Cornwallis, and even the document by King George III which officially ended the war. And all the major names of the war from both the British and American sides have found their way into the pages of “Gentleman’s Magazine”. American titles are available as well. Some of the more rare would be those from the South which are virtually impossible to find, and when they do surface their prices are beyond the means of most collectors. Some of the more commonly found titles would be the “Pennsylvania Evening Post” from Philadelphia, the “Pennsylvania Ledger” “Boston Gazette” (which featured an engraving by Paul Revere in the masthead), “The Pennsylvania Gazette” and “Pennsylvania Packet” among others. And dipping back a few years before the outbreak of the war, when tensions were building with much evidence in the newspapers of the day, the “Pennsylvania Chronicle” and the “Boston Chronicle” offer excellent insight into events of the day from the years 1767-1769 for under $200 for most issues. Regardless of your interest in the Revolutionary War, whether it be the famous names that came to prominence, the battles of the war, or a focus on a singular event or locality, genuine newspapers of the day are available for the collector. It is a hobby with limitless possibilities, and offers a unique opportunity to literally hold history in your hands. 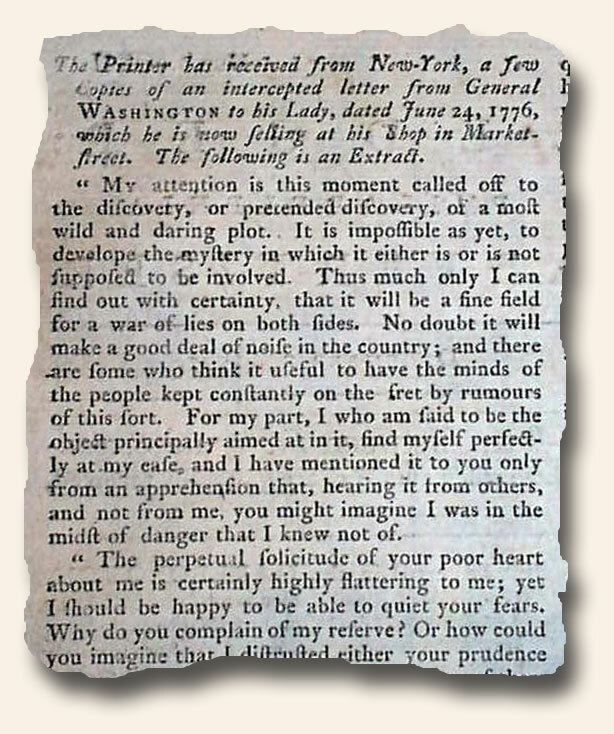 The front page of “The Edinburgh Advertiser“, July 23, 1779, has a great letter (see below) signed by “An Englishman” which pretty much sums up the Revolutionary War through the mid-point of 1779. Never before have I seen a more accurate appraisal of the situation in so few words.